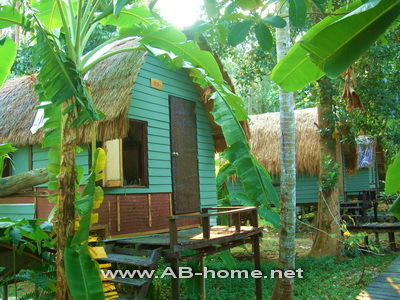 Paradise Cottage in Lonely Beach is a bungalow resort with simple huts and holiday houses on a wonderful beach on Koh Chang Island. Paradise Cottage Resort is one of the leading accommodations in Lonely Beach. The city is around 150 meter away and easy to reach by feet. Inside town are mini markets, souvenir shops and cozy bars for going out and nightlife. Paradise Cottage Koh Chang has different types of rooms. 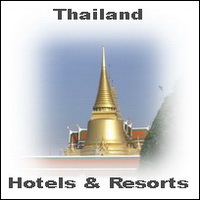 The sea front houses are perfect for cheap honeymoon and romantic beach vacations in Thailand. Paradise Cottage is easy to find, nearly every taxi driver knows this accommodation. If you travel by motorbike than you will recognize the sign on the main road in the south of lonely beach Koh Chang.